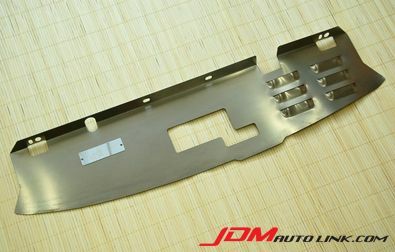 We have a very rare pre-owned ARC Titanium Air Diversion Plate (Radiator Shroud) for the Nissan Skyline R34 GT-R (BNR34). Air will usually escape through the top and bottom of the radiator, with these fitted, it will force more air through the radiator to reduce engine temperature. 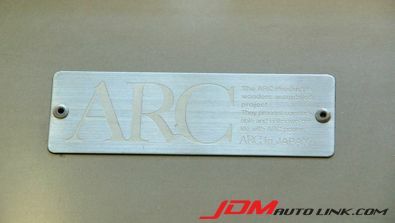 The ARC Titanium Air Diversion Plate fits over the top of the core support and the radiator. 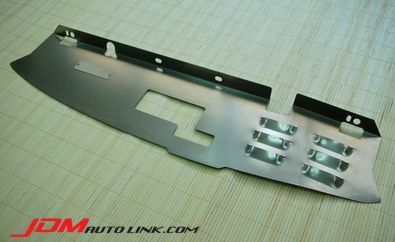 This simple bolt-on piece will increase performance and will also accent your engine bay. Do note that this is the much sought after version with air vents. The usual version does not have vents on the air diversion plate.